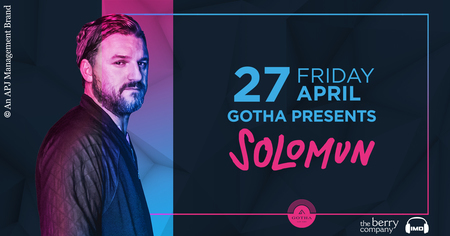 On Friday the 27th April, Gotha Club Dubai is excited to present the incredible three-time DJ Awards Ibiza winner for Best Producer and Best Deep House DJ, SOLOMUN! With his funky basslines and euphoric melodies, you will be clapping your hands late into the night! Get excited, it's going to be unforgettable! Entry will be free until 12am, after which tickets will be 150 AED for men. Ladies are treated to complimentary beverages from 11pm to 1am and complimentary entry all night.